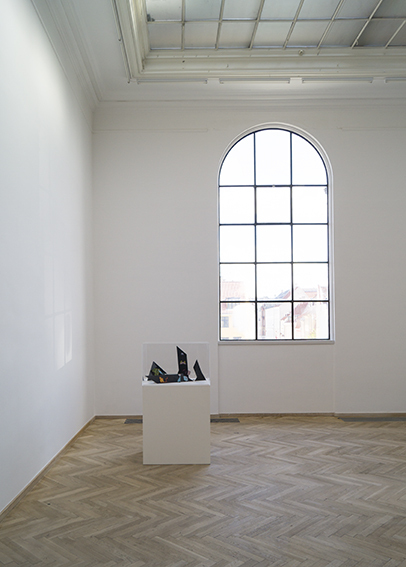 It is with great pleasure that Charlottenborg presents the exhibition First we make the rules, then we break the rules, with works by Simon Evans and Öyvind Fahlström. 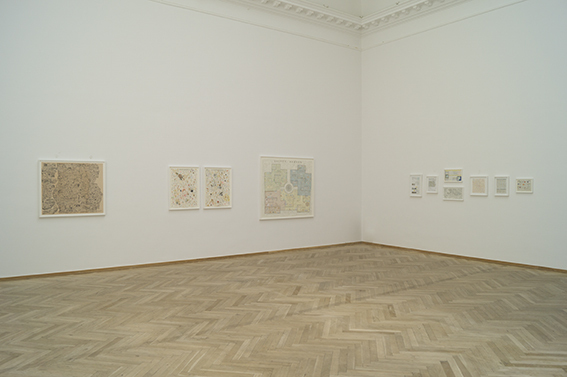 The two artists represent two different generations, and two unique artistic positions, which each in their own way treat cartography as a visual material and explore the mapping of the world. Öyvind Fahlström (1928-1976) was to an equal degree a pop and conceptual artist. 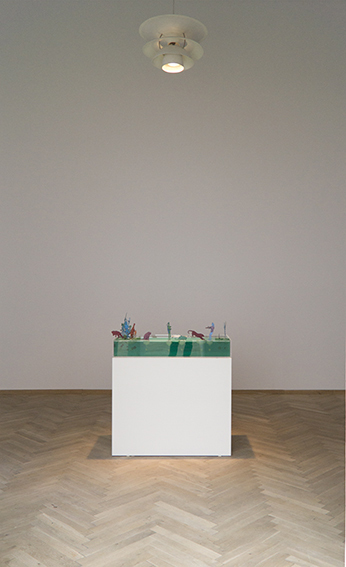 His conceptual use of information, in combination with a pop culture visual language and a global perspective, makes his work particularly relevant to a younger generation of artists. 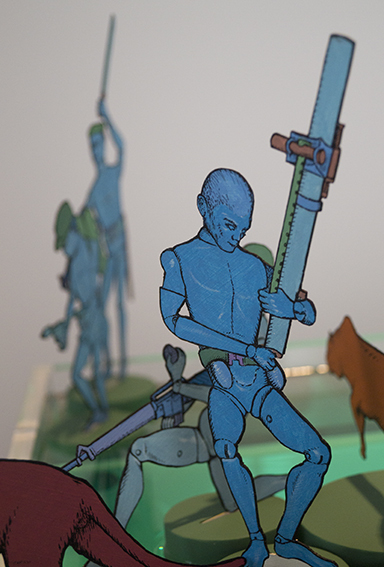 Fahlström’s detailed drawings, prints and sculptural objects are formally based on the graphic universe of the comic-book, and examine and analyse the political situations of his own time. 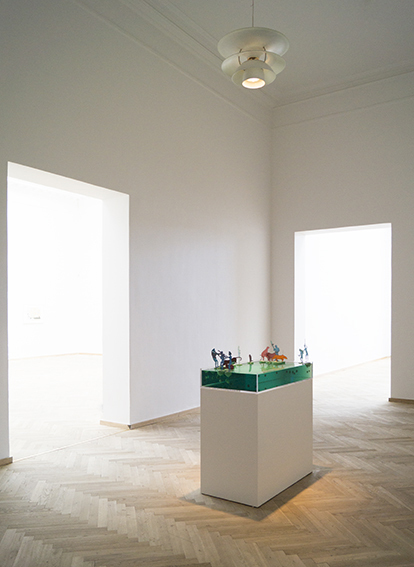 Fahlström is the quintessential globally-oriented artist, who established a political critique through mapping, sculptural installations and board games. 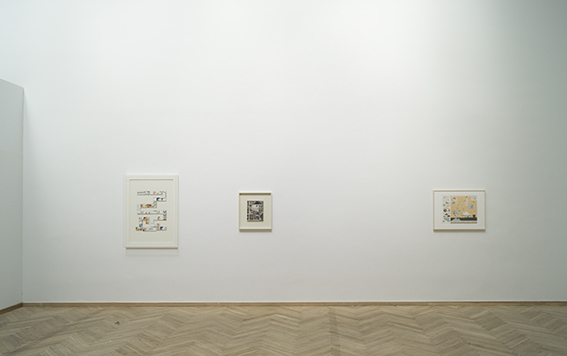 Simon Evans (1972) takes his starting-point in his own life and a personal perspective, from which he creates detailed collages of written and drawn impressions and fragments of notebooks. 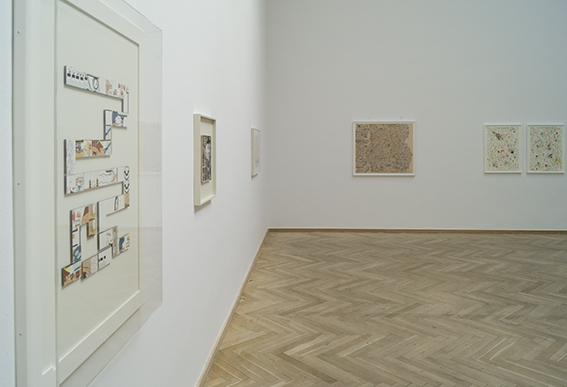 Evans assembles these fragments, drawings, words, receipts, serviettes and other waste materials into, for example, dense, taped-together maps, the surface of which is reminiscent of wax or skin. Through his psycho-geographical maps, Evans tells a number of everyday human stories of urban life in the Western world. 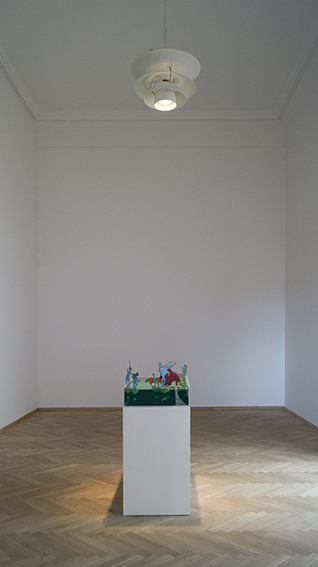 The title of the exhibition, First we make the rules, then we break the rules, refers to the work of both artists in classification and structuring, by building up maps and systems, while at the same time undermining, altering and dissolving them. 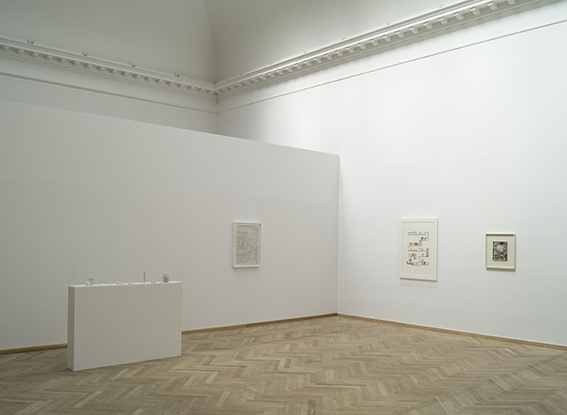 The exhibition is curated by Elodie Evers and Magdalena Holzhey of Kunsthalle Düsseldorf, and is accompanied by a catalogue. 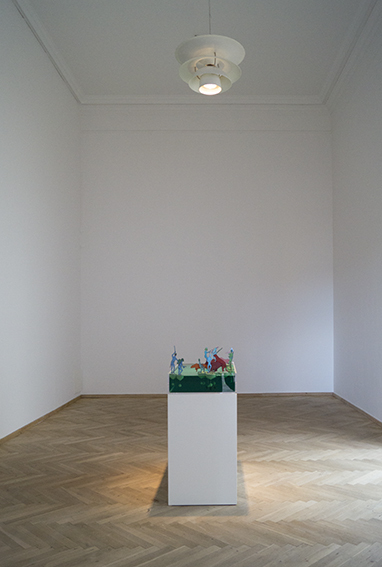 Thanks to: Sharon Avery-Fahlström, Simon Evans & Sarah Evans, and Kunsthalle Düsseldorf. This is tomorrow: "Simon Evans & Öyvind Fahlström: First we make the rules, then we break the rules"
Simon Evans & Öyvind Fahlström, "First we make the rules, then we breake the rules". 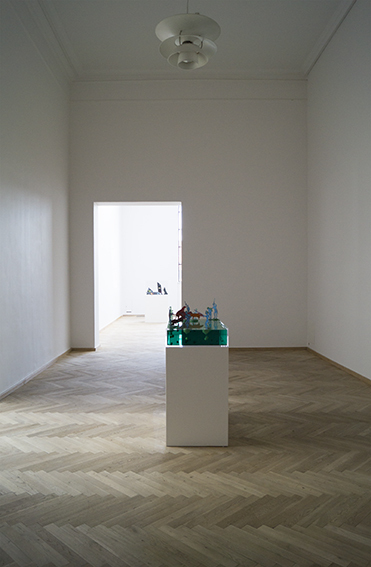 Installation view, Kunsthal Charlottenborg, 2013. Photo by Alexander Hattwig.